While you may have wondered why Andrew Garfield wasn't at the Oscars on Sunday, you may not have known why exactly he was supposed to have been there in the first place. Garfield was scheduled as a presenter and the Amazing Spider-Man star was planning to "induct a new hero" during a moment that would serve as the culmination of the 2014 Oscars' hero theme. This obviously never happened and the hero theme seemed a little off, but now we know what was supposed to have gone down. Batkid was snubbed by the Oscars when his segment was cancelled for unknown reasons. Batkid was the new hero! If you aren't familiar with Batkid, he is a 5-year-old boy with leukemia named Miles Scott who was granted his wish to be Batman for a day by the Make-A-Wish foundation back in October. The foundation planned an unbelievably amazing set of activities for Batkid including meeting a Batman impersonator, getting chauffeured in a Lamborghini batcar, and "rescuing" citizens from The Penguin and Joker in incidents laid out around the city. The whole thing gained a lot of popularity, and was undoubtedly amazing for Scott, so it makes total sense that the Oscars would want him as part of their hero theme. According to Mashable, Batkid's segment was rehearsed on Saturday and in pictures you can even see Batkid written largely on part of the set. Batkid's appearance was reportedly pulled early Sunday with no explanation given from the Academy Awards' producers; although The Make-A-Wish Foundation made it clear they were not involved and released a statement saying, "Make-A-Wish was not involved in any way with any decision about what did not or what did make it in on-air that evening." 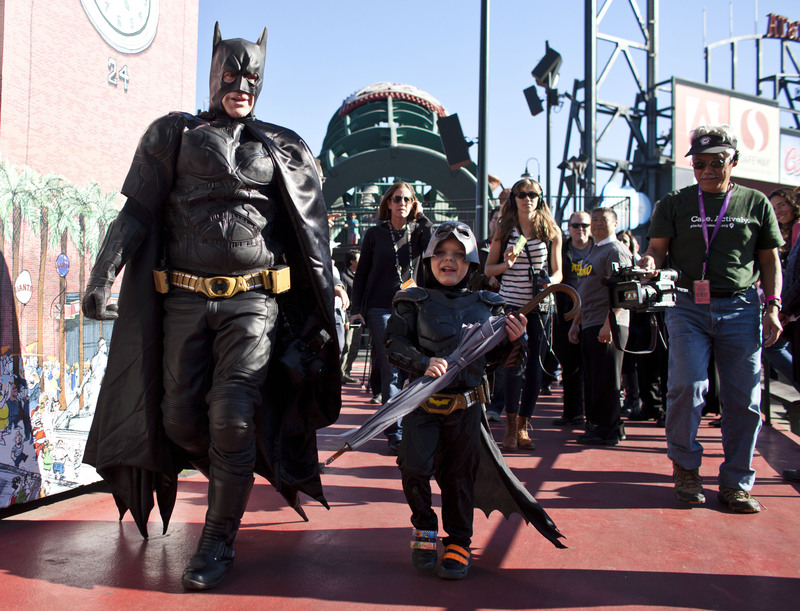 Batkid and his family were given a free trip to Disneyland instead. A source close to the Scott family said, "Of course Miles and his family were disappointed. It was heart-wrenching to speak to them. The last thing they wanted was to see their son disappointed." Poor Batkid! Hopefully, the Oscar producers gave his family a good reason for snubbing their big hero.